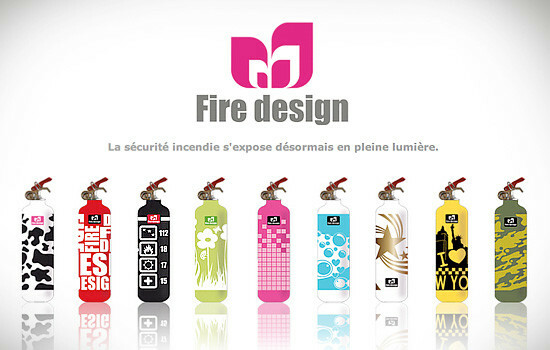 The concept of Fire design is unique in Europe. 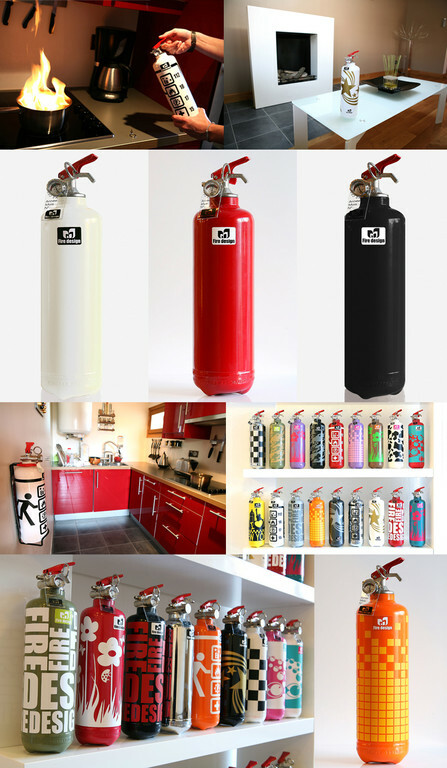 Fire design offers you a large choice of design; fire extinguishers in a broad range of colours and patterns, a customised product to satisfy all tastes. 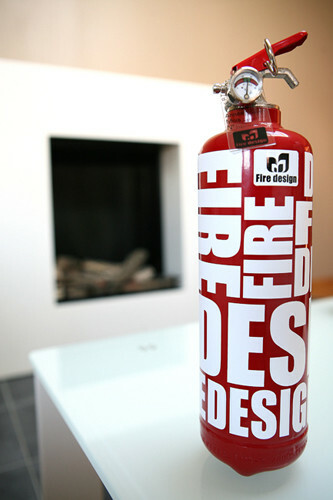 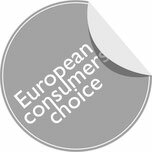 A registration number and EC approval engraved on the extinguisher's pressure vessel make your extinguisher unique. 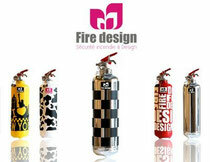 The extinguisher's controlling gauge enables you to see at a glance if the extinguisher is in good working order. 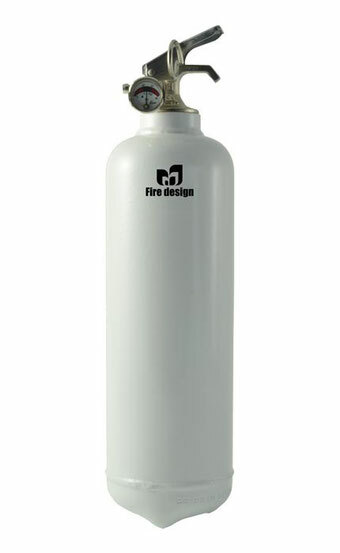 The date-bearing seal of the extinguisher's pin provides a 5-year guarantee against any manufacturing fault. 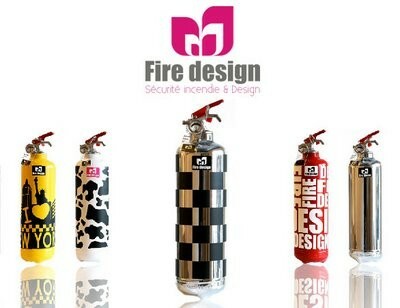 The guarantee certificate shows the registration number of your extinguisher and the year it was placed on the market. 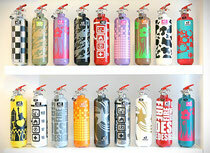 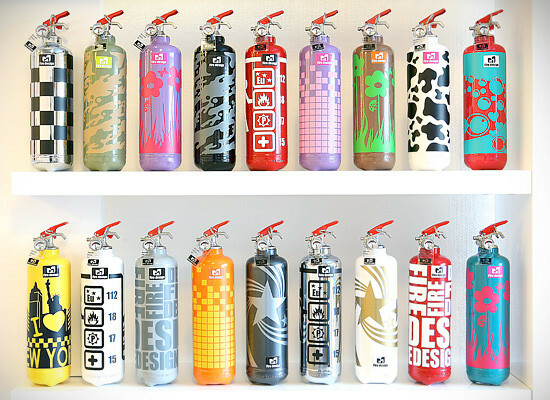 "These extinguishers are so artfully designed. 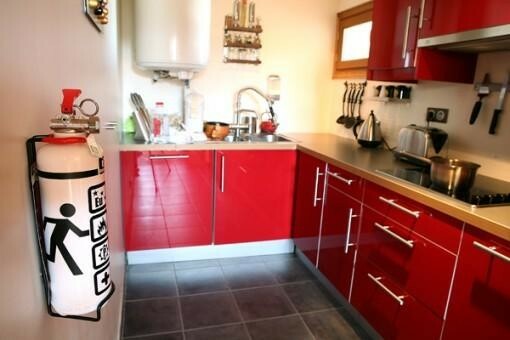 We bought one for our country house in Brittany; it is perfect there and we feel both safe and satisfied with the design"
"To have a fire insurance policy and no system of detection or extinguishers is daft. 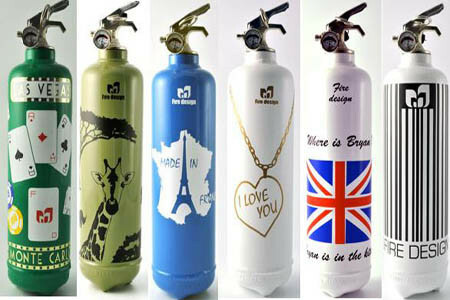 These beautiful extinguishers will motivate people to take that extra precaution"
"This is a really good present to make, but also a real gift to ensure the safety of your loved ones; it is a beautiful decorative object and rather smart and luxurious"